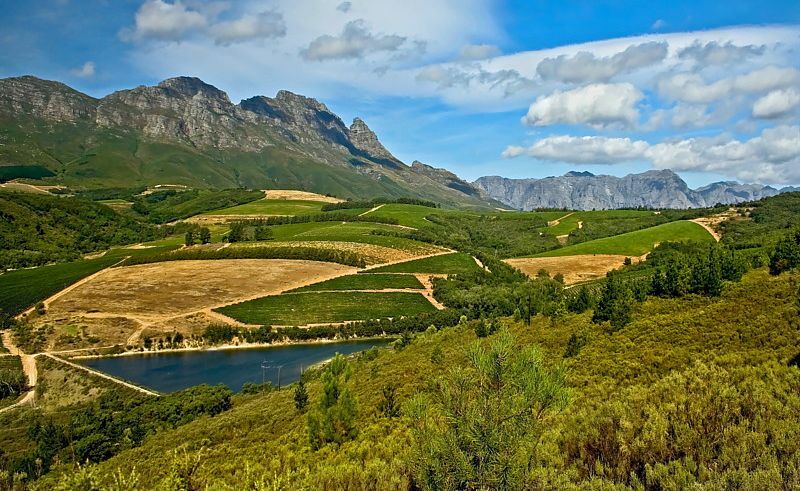 In about 5 weeks I will visit South Africa for a 3-weeks wine trip. It is my first time going there and I look forward to it! There are so many good wine producers in South Africa. Especially in the region of Stellenbosch and Franschhoek where I have a stay for 10 days. My trip start in Capetown, a city with many lovely things to see. From there I will drive with a rental car to Constantia where I have a good stay at an airbnb adres. Close to fine producers like Klein Constantia, Steenberg, Cape Point and Eagles Nest. In Constantia I will meet a Belgian wineprofessional with whom I will explore the winelands for 2 days. After 5 days I will move to Stellenbosch which is the main purpose of my wine trip. Also a stay at an airbnb adres. I will visit there well-known wineproducers like Jordan, De Toren, Aaldering, De Trafford, Stony Brook and others. Also a special visit to Stellekaya where I will meet Ntsiki Biyela, the first black woman winemaker of South Africa! The last week I will visit the famous Paul Kruger park. So, it will be a very exciting trip! One wine, 8 vintages! That was the challenge we took last night with 10 vivino members. The Toren Fusion V 2004-2011. Amazing how the vintages differ in style. From fruity ‘green’ wines till oaky ‘warm’ wines. 2004 was just to old for pleasing us. 2006 had some faults and concerning the other vintages 2005 and 2007 pleased me the most. A bit ‘warm’ Bordeaux style. Fine harmony between the five varieties. Flavors of cherries, blackberries, vanille, caramel and liquorice. Both muscular and elegant too. In my opinion the 2005 was a bit more refined and showed more elegancy while the 2007 showed more power and intensity. But both wines showed the best they had. A very interesting and educational vertical tasting! I can hardly believe I will visit The Toren in about 5 weeks! Then I will probably taste the 2012-2015 vintages! look forward to it!